TeamFYNSports Reporter’s Player of the Week goes to #15 Chandler Kendall! Kendall is a senior at Fannin County High School. 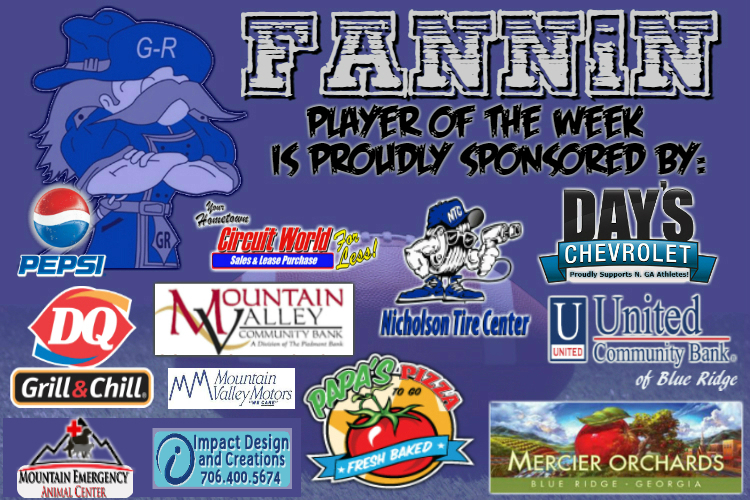 Kendall plays both offense (Wide Receiver) and defense (Defensive Back) for the Fannin Rebels. Kendall played a great game last Friday night against the East Hall Vikings. Offensively, Kendall had one 49-yard touchdown. Defensively, Kendall made 6 tackles total, 1 interception, and broke up a pass attempt. TeamFYNSports looks forward to seeing all that Kendall is capable of as the season continues.